After chatting with the lovely Annie from Annie's Beauty Blog (she truly has a beautiful blog. Check it out, it's amazing! 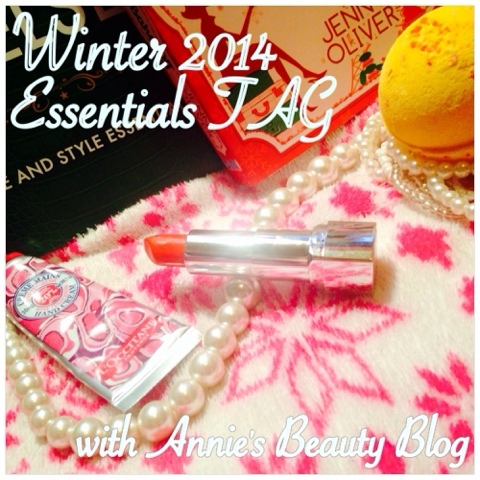 ), we joked we should create a winter tag for our very first collab post. We both posed 5 questions each, and answered them without seeing each other's responses. Let's see what we both thought! 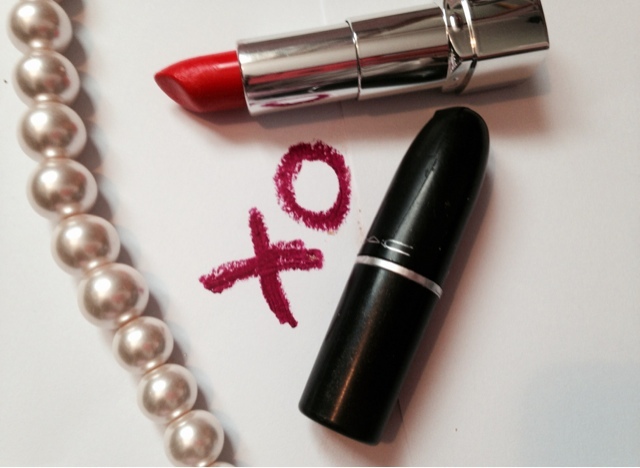 A: Obviously THE ultimate red lipstick. But I'm not giving off more as I have a blog post coming up next month on www.anniesbeautyblog.com entirely dedicated to this matter, plus a few other surprises ( since it's also my birthday month... *wink wink*). K: There's nothing I love more than a bold lip with a metallic eye look for a party. 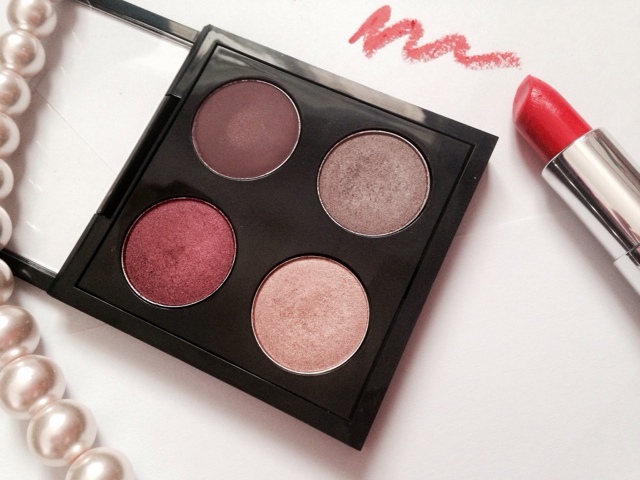 This year I'll be sporting the dazzling berry tones of MAC Rebel with a gold eye. 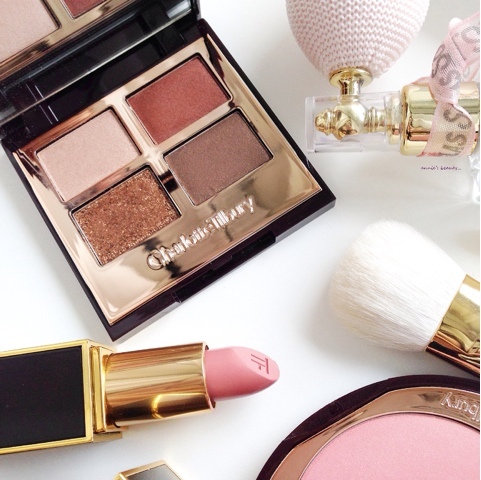 What's your winter essential makeup product? K: I've been loving a bright lip colour to liven up your look this winter. It looks especially striking when paired with a dark outfit that might otherwise look a bit on the boring side. 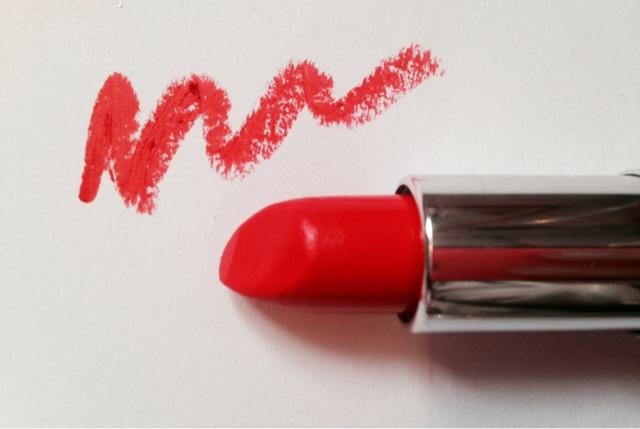 I'm head over heels for the Rimmel Moisture Renew Lipstick in In Love With Ginger, the perfect orangey red for daytime. 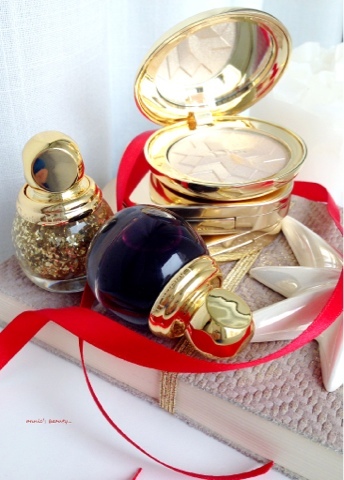 A: My essential makeup product for the Winter of 2014 has to be golden, shimmery and to give me the same glow ( without making me feel like a disco ball, obviously! ). 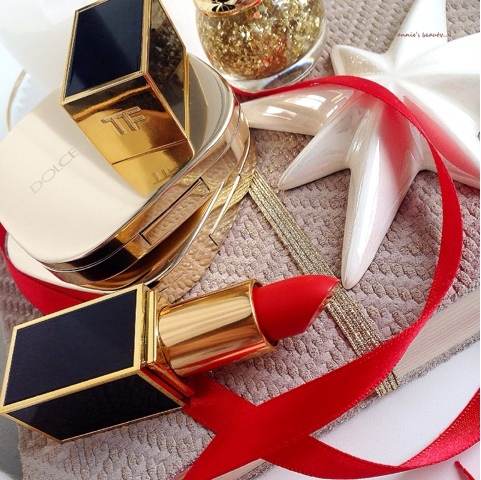 It might be called cheating, but I'll go for the entire Dior Golden Shock 2014 Christmas Collection. Love the Diorific highlighter in #001 Gold Shock and 4 out of 5 nail polishes! What are you most hoping to see under your tree Christmas morning? K: A little Tom Ford or Charlotte Tilbury would always be appreciated! (Annie's pic here pretty much sums it up). 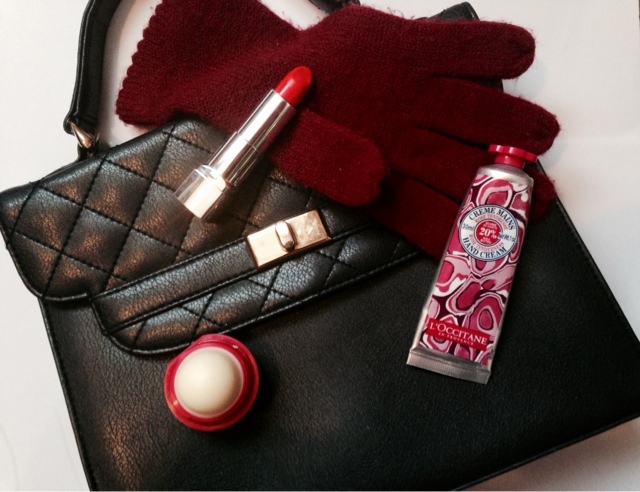 Name one beauty essential that's never missing from your bag during the colder months. K: Hand cream! My hands get pretty dry in the winter, and there are some really pretty scented offerings for a pick me up. The L'Occitane Shea Butter one is the best if your hands really need some extra nourishment, but my favourite at the minute has to be the gorgeous Honeymania hand cream from The Body Shop! A: Even though my first thought was also hand cream, I have to admit that I kind of hate the feeling of it on my hands during winter. It's not a problem when I'm at home, but when I'm out and about I really can't be bothered! 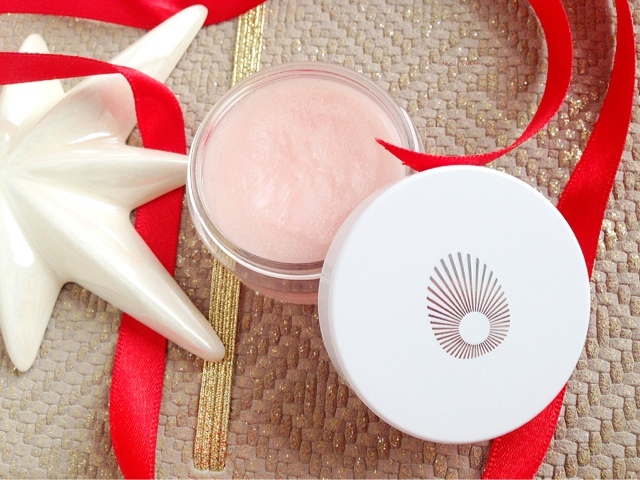 So I will go for Lip Balm, a thick, nourishing lip balm like the Omorovicza Perfecting Lip Balm. Gorgeous, gorgeous product! What are your winter weather skincare saviours? 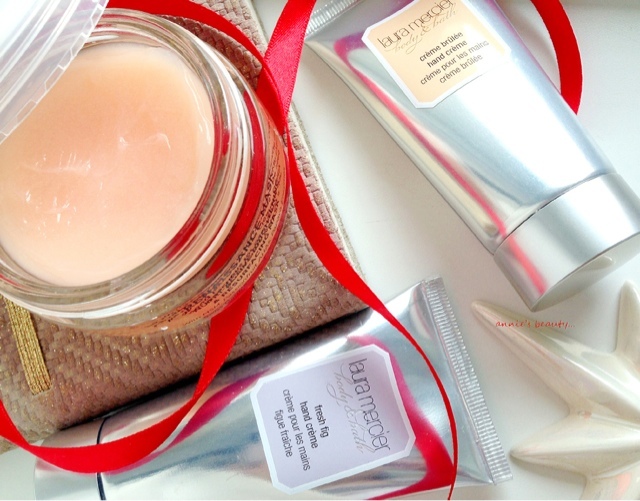 A: A good rich moisturizer, an effective face mask and a the Laura Mercier hand creams. The Moisturizer I'm currently using is a new one I got from Apivita, the Queen Bee range which is ok... for now and the face mask I think I'll never stop using ( ever ) is the Oskia Renaissance Mask. K: Although I have oily skin, it manages to get pretty dry in the winter. Last year the dryness reached another level and I found myself reaching for the less-than-glamorous Epaderm cream to banish those flaky patches. I'm still on the lookout for a great rich moisturiser, although the L'Occitane Divine Cream comes pretty close! K: Great question! I think I'll be reaching for the likes of Chanel Coco Mademoiselle this winter for a glamorous feel to those chilly days. The heavier, spicier tones really work with the cooler weather. 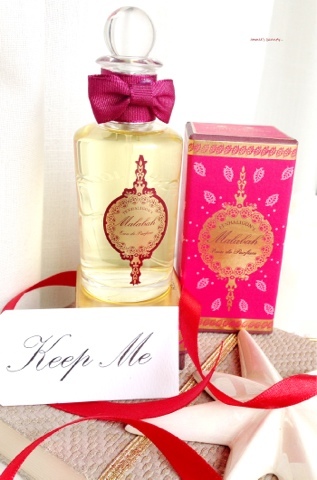 A: I know this winter it's going to be all about Penhaligon's Malabah, a Woody Oriental scent, a deep, warm, mature scent that emulates the coziness of a room with a lit fireplace and the crispiness of the weather outside. A: For me it definitely is! I recently got myself this Charlotte Tilbury the Dolce Vita eyeshadow palette and that's about the only thing I'm wearing on my eyes at the moment! I've always loved a berry hued eye makeup look, even though it's a rather difficult one to achieve. K: Although I don't think it can take over the eponymous berry lip, it's definitely a contender. I love MAC Cranberry and the Metallic Pomegranate Maybelline Color Tattoo all over the lid. It's such an easy but individual look. You need to keep it understates though, the bruised look is never classy! K: I've been LOVING the new winter drinks in the coffee shops recently. My faves have to be the Honey & Almond Hot Chocolate from Starbucks and the Creme Caramel White Hot Chocolate from Coffee #1. A: Anything Marzipan tastes particularly divine at this time of the year. 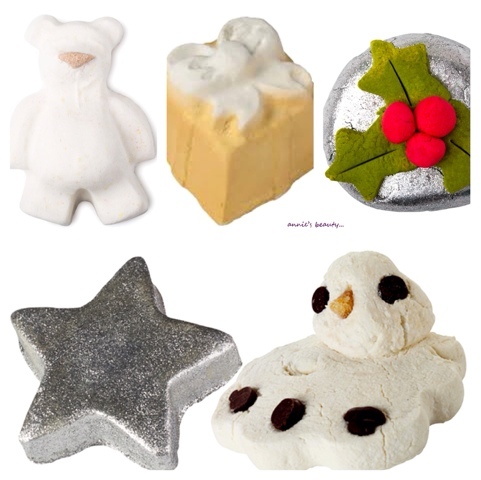 A: When it comes to Christmas at LUSH there's no such thing as just one pick! So this year it's going to be like this: the Melting Snowman, Star Light Star Bright, the Butterbear, the Golden Wonder and Holly Golightly... duh! K: I'm seriously lusting after the Yog Nog soap. I'm not a huge soap user, but this one smells incredible! That and just about every Christmas bubble bar! Name one (or more) random winter essential. K: Gloves! I have the most amazing pair of suede and faux fur mittens (try using an iPhone with those!) that I always whip out when it gets frosty. A: My random essentials have to be, as they've always been: Christmas Carols and my Bibliothèque Byredo Candle, which smells like leather, old books and burning wood. Annie's picked some amazing products, many of which I haven't tried! I'm definitely going to be adding the Omorovicza Perfecting Lip Balm, Charlotte Tilbury Dolce Vita Palette and the Oskia Renaissance Mask to my Christmas list! Thank you Annie for doing this TAG with me!